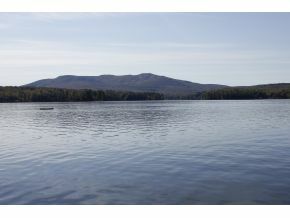 A well established home on the eastern shore of 4000 acre Lake Sunapee and just minutes to the ski area. Contemporary architecture in the mode of Deck House with lots of glass on the lake side on both levels. Large family room with a stone fireplace makes for gracious entertaining and relaxing. The main level has a master bedroom complete with extensive built-ins and lots of closet space. A small deck and stairs give you access to the water quickly for that early morning swim or evening dip. Enjoy the sunsets year round and the views to Mt. Sunapee are stunning. There are two docks, one is cantilevered and the other is a permanent "U" dock. Shallow swimming is available for the children. All of this is located on a 3.5 acre lot. Listed by Four Seasons Sothebys Int`l Realty/NL. G. Quackenbos For additional information on this home call Lady of the Lake Realty at 1-888-737-5550 or e-mail at info@nhlakesrealty.com or visit our website to view similar lake homes in New Hampshire at www.nhlakesrealty.com or www.lakeorskirealestate.com.